The Preferred Edition includes the ability to create and use custom text and graphics macros. For example, with this feature one could create a list of email addresses that could be called up by saying, “Bob’s Email,” “Susan’s Email,” “Sandra’s Email.” In addition, blocks of already-created text could be dropped into the document with a command. The Premium Edition is best for those one who want to use speech recognition once in a while. It is great for basic dictation, but the efficiency features are built into the Professional, Medical and Legal Editions. For example, in the Premium Edition the Natural Language Commands are not available in Microsoft Outlook, Excel, PowerPoint or Lotus Notes. These give users the full capability of the Dragon NaturallySpeaking program. The additional features are tools that solve problems and improve efficiency. With custom commands one can have a full set of easy-to-remember and fast-to-execute commands for navigating, formatting text, and editing text. 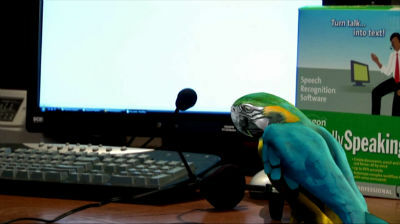 CompuTALK provides a set of custom macros that make NaturallySpeaking do what you want quickly. Delayed Editing. This feature will save the audio with the text file. One may edit later or have support staff do the editing. This is a huge time savings. No longer do attorneys or doctors need to do all their own editing. Just dictate the text and have the support staff review the document and edit it right in Microsoft Word! Use of Multiple Vocabularies. A user could have one vocabulary designed for medicine and another vocabulary for personal use. 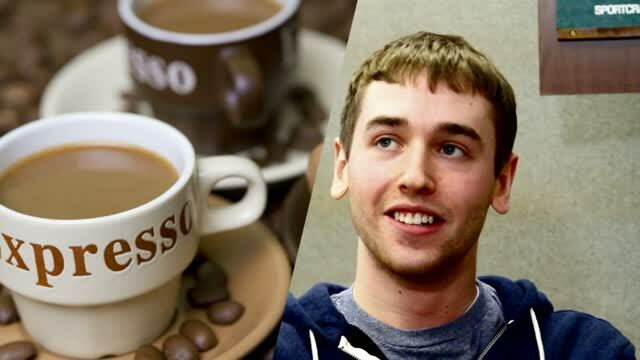 A single user could also have various-sized vocabularies. Roaming User. This allows users to keep their user profile updated from any networked computer. The profile could be on a network drive or a single computer’s drive that is accessible to the other computers. Custom Macros. Though it is mentioned above, I must stress again the importance of custom macros. These macros are easier to remember and they solve problems. This is the main feature that helps people use Dragon NaturallySpeaking with success and satisfaction. Specialty Vocabularies for Legal and Medical Suites. These vocabularies are optimized for their specialties. Accuracy is everything. The right vocabulary will do the best job. We provide a set of custom macros for $195 that streamlines the Dragon NaturallySpeaking experience. They help with correcting, editing, navigating, formatting and much more. They are intuitive, such as Print File and Today’s Date. They are easy to remember, such as Delete 3 will delete that many words. If you plan to use speech recognition for years to come, it makes sense to invest in the program that will help you to be the most efficient. Having the right macros, vocabularies, and delayed editing will save you time. To get your work done faster, with easier-to-remember commands, purchase the Professional, Medical or Legal Suite. Support for Mozilla Firefox and Thunderbird. Contact us at (608) 233-5556. The SpeakEASY DVD has now been fully updated! It now has 30 short chapters covering 72 minutes in total length. 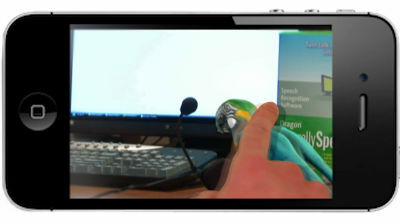 All the video and screen shots have been reshot and edited specifically for Dragon NaturallySpeaking 11. As in version 10, the SpeakEASY version 11 includes the QuickNotes and QuickMacros booklets. Now the SpeakEASY Professional 11 is available with significant additional content and value. Watch the video to learn about all the new features. This video promotes the macro capability found in NaturallySpeaking Professional, Medical and Legal. Move the mouse pointer off the video window so the whole window is displayed. The following video is a promotional ad only 2 minutes long. If you would like it for your website you can have it with your contact information inserted with a purchase of 10 copies of the SpeakEASY DVD and/or SpeakEASY Professional. The fact is many professionals just don’t have the time to edit and correct. So they use recorders and telephones and pay big money for transcription. We can show them a better way by demonstrating the various uses of the Delayed Edit feature. It is a feature that is only available in Dragon NaturallySpeaking versions Professional, Medical and Legal. Check out this video for encouraging customers to use Dragon NaturallySpeaking Professional, Medical and Legal. Thank you for taking the time to review these training programs. Below you will find two videos. The first is for the SpeakEASY DVD and the second for SpeakEASY Professional. Good-quality training is such an important aspect of a successful Dragon NaturallySpeaking experience. Please consider making the following programs a part of your training offerings. Check out this fun video for customers using any version of Dragon NaturallySpeaking. Review this video for advantages to using the SpeakEASY Professional. If Dragon 11 is so easy to use why do you need a training program? It is easy to use when you know how. It is easy to see other people dictating an email, navigating the web, correcting as they go but they know the commands. By the way, what is a command? What do you do if you want to change some words around? How do you introduce a phrase with proper punctuation? Suppose you want to search the computer for a file, how do you do that? How about formatting, navigating, capitalizing, deleting, bolding and other editing. The SpeakEASY DVD shows you how to do all of that and much more. See the following video on version 11. The shooting of this version includes a young lady (Shae), a college student who knew nothing about Dragon NaturallySpeaking prior to us doing this project. You can learn along with Shay how to use Dragon NaturallySpeaking 11 effectively. Shae and I appear on the cover of the DVD jacket. For more video watch the ad for SpeakEASY DVD 10 below. But there is more! There is the new product SpeakEASY HD which is a Blu-ray version of the SpeakEASY program plus it includes the complete set of CompuTALK custom macros which alone are worth $195. In addition, is video based training for how to install and use the custom macros. 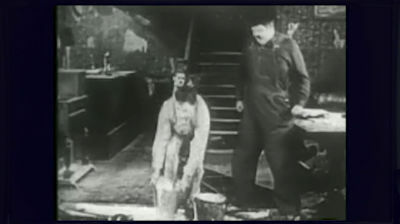 Even more, the program includes the advanced training video found in the SpeakEASY DVD 10. The CompuTALK macros are amazingly important shortcuts for easy editing, deleting, capitolizing, formatting, navigation and more. The CompuTALK custom Macros normally sell for $195 alone. Now combined with the SpeakEASY HD the whole package is $199.95. To learn more about the custom macros go HERE. Be aware the macros only work with Dragon NaturallySpeaking Professional, Medical or Legal versions. 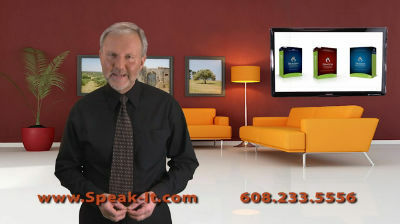 The SpeakEASY DVD is a training program for Dragon NaturallySpeaking® 10. The program covers the basics through the advanced features of creating macros, templates and lists. Also included is What’s New in Version 10. The SpeakEASY DVD will save you time and a great deal of frustration as you learn to properly dictate, correct, format, delete, select text by voice and much more. The DVD provides 2 hours of video introductions, text screens and screen captures that demonstrate how to perform the topic. Most topics are about two to four minutes. The topics are designed to be easy to understand and remember. Included are the two booklets: QuickNotes and QuickMacros, a $30 value. QuickNotes is a quick reference of Dragon NaturallySpeaking commands for a variety of programs such as Microsoft Word, Outlook, Excel, Explorer and much more. If you want to know what commands are available for navagating through Microsoft Outlook just look on the page for Outlook commands. It is an exceedly helpful tool included as a PDF document. QuickMacros is a booklet designed to help the user create custom commands for themselves. It provides examples that are easy to follow and begins with the simplest commands and moves on toward the more complex. This is an excellent tool that suppliments the video material in sections II & III. The tables below lists the topics covered in three sections. Jim Bendewald, the instructor, is a certified Nuance Value Added Reseller. He has been training people in speech recognition programs since 1995 and a certified Dragon reseller and trainer since 1996. There is no other training program for Dragon NaturallySpeaking that is as simple, effective and complete as the SpeakEASY DVD. Call (608) 233-5556 to order your copy for only $99. SpeakEasy (DVD for Dragon NaturallySpeaking training with SpeakEASY DVD 10), (c)2007, by Jim Bendewald is a well organized and excellent introduction packed into a 2 hour presentation. It is easy to follow and to understand. The additional files (QuickNotes.pdf, QuickMacros.pdf, cheatsheet.doc, cheatsheet.rtf) were unexpected bonuses. Those bonus files alone were worth the purchase price. Jim Bendewald is available for one-on-one education, contact him through his web site. As an alternate to face-to-face training, the SpeakEasy DVD offers a well-paced introduction to Dragon NaturallySpeaking 10 suitable for professional clients. –Larry Allen, Softnet Systems, Inc.
Mr. Bendewald has done a remarkable job of distilling the essential elements for learning to use Dragon NaturallySpeaking and put them in an easy-to-manage lesson-based training DVD. I found this information concise and easy to follow, and the illustrative examples very beneficial. The information on how to create macros should be a primer in everybody’s NaturallySpeaking library. –Edward Rosenthal, Next Generation Technologies, Inc. The QuickNotes and QuickMacros booklets are worth the price of the product alone. The SpeakEASY DVD is fresh and weighty. Every chapter is neceassary and hits the target. –Ronald Thompson, Adaptive Solutions, Inc.
Click on the picture below to learn more about the SpeakEASY Program. Are you looking for training for Dragon NaturallySpeaking 10? The SpeakEASY DVD 10 is still available!